Samuel Lowe, Sr. had a humble beginning when he was born, February 13, 1932, in Memphis, Tennessee to Mr. John Lowe (real estates owner) and Mrs. Molly Lowe (public school teacher) who preceded him in death. He received his public education from Manassas High School, Memphis, Tennessee. He also attended The C.H. Mason Bible College (Memphis, Tennessee) and C.H. Mason Theological Seminary (Atlanta, Georgia). Little did young Samuel’s parents know their son would touch so many lives and rise to great heights in the Church of God in Christ under the leadership of Elder James Rodgers. There, he received the basic principles of holiness and was taught to be faithful over few things and God would make you ruler over many things. Brother Lowe accepted his call to the ministry and began preaching at the tender age of sixteen. Upon being licensed to preach and ordained as a cleric in the Church of God in Christ, he continued to serve faithfully in whatever capacity needed. In 1950, Bishop A. B. McEwen appointed eighteen-year-old Elder Lowe as pastor of the Benjestown Church of God in Christ. At that time, he met and married the lovely Nina Wooten. God blessed the couple with three sons: Samuel, Jr., Michael Eugene, and Ruben Glenn. God has blessed all three sons to become preachers of the Gospel. While serving as pastor of the Benjestown Church, he was called into active military duty for the United States Army and served during the Korean Conflict. Even while active in the military, he continued to preach and minister to his fellow soldiers. He received an honorable discharge in 1955. After being discharged from the Army, he returned to Memphis, Tennessee and continued to pastor the Benjestown Church for two more years. In 1957, he was appointed pastor of the Gospel Temple Church of God in Christ. As a result of his faithfulness, dedication, and spiritual growth, Pastor Lowe was appointed as a District Superintendent. He was the youngest District Superintendent at that time. In 1961, he was appointed pastor of the Tipton Church of God in Christ where he served faithfully as pastor for 38 years. Superintendent Lowe served as pastor of two churches and District Superintendent, while employed as a truck driver for Fineberg Packing Company. Bishop J. O. Patterson, Sr., Prelate, Tennessee Headquarters Jurisdiction, appointed Superintendent Lowe to serve as his Administrative Assistant. Bishop Patterson also recommended to the General Board of the Church of God in Christ that Superintendent Lowe be elevated to the office of Bishop. The board accepted the recommendation. In 1981, Superintendent Lowe was consecrated as an Auxiliary Bishop in the Church of God in Christ. 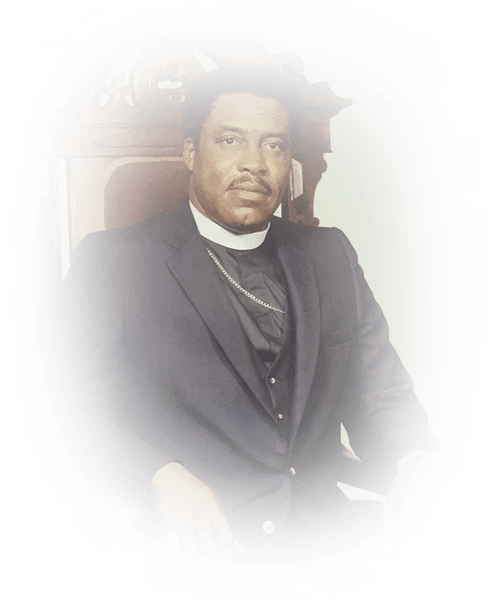 In 1981, Bishop F. D. Macklin, Sr., Prelate, Tennessee Headquarters Jurisdiction, appointed Bishop Lowe as an Administrative Assistant. Bishop Lowe also served as Auxiliary Bishop under the leadership of Bishop W. L. Porter, Prelate, Tennessee Central Jurisdiction (Jackson, TN). In 1984, Bishop Lowe was elected to serve on the National Board of Trustees of the Church of God in Christ. In 1988, Bishop F. D. Macklin became ill and was granted emeritus status as Prelate, Tennessee Headquarters Jurisdiction. At that time, Tennessee became an open state. Bishop Lowe as appointed Jurisdictional Prelate of the newly formed Tennessee Fifth Ecclesiastical Jurisdiction. There were approximately sixty (60) pastors who chose to follow Bishop Lowe. After health complications, Bishop Lowe requested and received emeritus status in the Church of God in Christ. God gave him the vision to appoint one of his sons in the Gospel, Executive Administrative Assistant Clinton C. Bryant, as pastor of the Gethsemane Garden Institutional Church of God in Christ. He also recommended to the General Board of the Church of God in Christ, another capable leader to succeed him as prelate of the Tennessee Fifth Ecclesiastical Jurisdiction, Bishop Jerry W. Taylor. Bishop Lowe loved and cherished his role as a servant in God’s vineyard. He served with great dignity, humility, and integrity until he transitioned from earth to glory on Friday, April 17, 2015. We pay homage and respect to a man who has achieved greatness.